The compensation fund for victims of 9/11 is running out of money and will cut future payments by 50 to 70 percent, officials announced Friday. Greg Cergol reports. The compensation fund for victims of 9/11 is running out of money and will cut future payments by 50 to 70 percent, officials announced Friday. September 11th Victim Compensation Fund special master Rupa Bhattacharyya said she was "painfully aware of the inequity of the situation" but stressed that awarding some funds for every valid claim would be preferable to sending some legitimate claimants away empty-handed. "I could not abide a plan that would at the end of the day leave some claimants uncompensated," Bhattacharyya said. 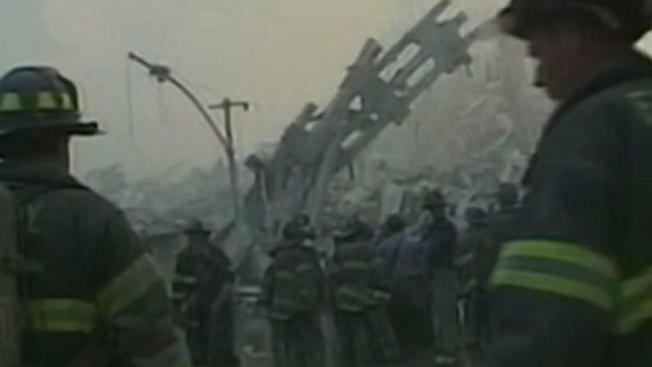 Nearly 40,000 people have applied to the federal fund for people with illnesses potentially related to being at the World Trade Center site, the Pentagon or Shanksville, Pennsylvania, after the 2001 terror attacks there, and about 19,000 of those claims are pending. Nearly $5 billion in benefits have been awarded out of the $7.3 billion fund. Bhattacharyya said fund officials estimate it would take another $5 billion to pay pending claims and the claims that officials anticipate will be submitted before the fund's December 2020 deadline. Absent that funding, officials determined that pending claims submitted by Feb. 1 would be paid at 50 percent of their prior value. Valid claims received after that date will be paid at just 30 percent. Members of Congress responded to Friday's announcement by vowing to reauthorize the compensation fund. "This is devastating news to the thousands of sick and injured 9/11 responders and survivors who were promised, and have been counting on, being fully compensated for the losses they have suffered," Democratic Reps. Jerry Nadler and Carolyn Maloney and Republican Peter King said in a statement. They said they would introduce legislation to make the compensation fund permanent and to compensate all legitimate claimants. "Our bill would restore any cuts to awards, ensure that future eligible recipients are fully compensated, and make the VCF program permanent," the lawmakers said. The collapse of the trade center in 2001 sent a cloud of thick dust billowing over Lower Manhattan. Fires burned for weeks. Thousands of construction workers, police officers, firefighters and others spent time working in the soot, often without proper respiratory protection. In the 17 years since, many have seen their health decline, some with respiratory or digestive-system ailments that appeared almost immediately, others with illnesses that developed as they aged, including cancer. Scientists can't say definitively whether toxins at the site gave people cancer. One study published last year found that overall mortality rates among nearly 30,000 rescue and recovery workers weren't elevated. But researchers have raised concern an unusual number of suicides among first responders and more deaths than expected from brain cancers and non-Hodgkin's lymphoma. Bhattacharyya said the volume of claims has increased over the past year, with more than 8,000 claims filed in the last four months. Reasons for the increase include the long latency period for some cancers as well as an increase in applications by people who lived or worked near the trade center but were not actively involved in recovery efforts, Bhattacharyya said.